When presenting news of note, what could be news-ier than the announcement of the Spec Faith 2016 Summer Writing Challenge winner? 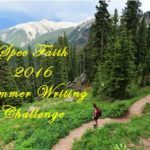 When presenting news of note, what could be news-ier than the announcement of the Spec Faith 2016 Summer Writing Challenge winner? Congratulations to Bethany A. Jennings for her first place finish in an incredibly tight vote. I’ll be contacting her to see if she wants her gift card prize from Amazon or B&N. If for some reason you missed reading the finalist entries, you can find them in last Monday’s post. In other news, Enclave Publishing has released their fall lineup of books for pre-order. I’m looking forward to reading these. 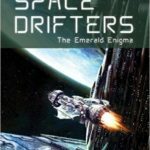 For science fiction fans, you might especially enjoy Paul Reginer‘s Space Drifters series. Psycho mass murderers can wreck your summer so fast. John Ajax planned to spend every sun-filled summer day playing Tread Battalion 2 with his friends. 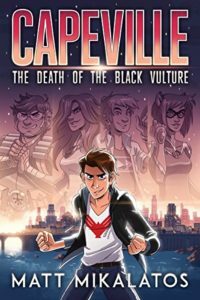 Then a super-powered goon tried to kidnap him, and his parents freaked out and sent him to “hide” in Capeville… a city populated entirely with superheroes and villains. It might be okay if he could fly, or shoot laser beams out of his eyes, or crush a brick in his bare hands. Instead he has a drill-sergeant grandfather, a crush on his boss (Jupiter Girl, a flying, brick-crushing, psychic powerhouse. No laser eyes.) and a best friend with speedster powers and poor impulse control. To make matters worse, the aforementioned psycho mass murderer is trying to kill every super-powered person in the city. If that happens John will lose his job, the respect of Jupiter Girl, and his best friend, too. So mass murder, that’s where John plans to draw the line. He may not be able to leap tall buildings in a single bound, but maybe, just maybe, John can still be a hero. Riv Mardok is the bravest cadet in the Space Force Military Training Academy on planet Dabon. “Protect the helpless” is his motto. When he kills a cyborg gragon, General Gruss sends him on a special mission to destroy the infamous Ice Beast. 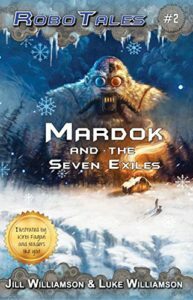 When Mardok gets lost on his quest, he meets a robot dog that helps him find his way. “Recycle and create.” That’s Tinker’s motto. He’s an inventor, who lives with his uncle and cousins on planet Kitz. The Invention Institute is having a Recycle Race to choose a new apprentice for their boarding school for young inventors. Tinker builds an airbike for the contest. When Tinker’s cruel cousins destroy it, a robot dog helps Tinker fix his entry in time to compete. 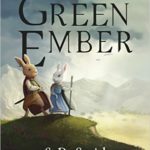 I’m excited about these book for middle grade readers. I often have friends ask me for speculative book recommendations, and perhaps the most requested is for middle grade boys. The thing is, these are all very fun and enjoyable for readers at any level. 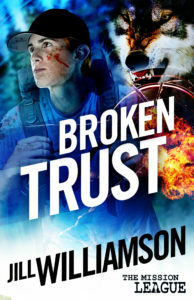 But fans of Jill Williamson know she writes primarily for young adults and adults. While she has some science fiction and one series of “contemporary supernatural” (her Mission League series consisting of two novels and two novellas, with a third novel coming out in October—Broken Trust), the bulk of her writing is fantasy, of one type or the other. 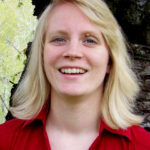 Zondervan is running a special on The Safe Lands trilogy ebook compilation. For only $1.99 you can grab the entire trilogy, which includes Captives, Outcasts, and Rebels. The sale runs through Monday, 9/5 and is available on Kindle, iTunes, Google Play, Nook, Kobo, or CBD! 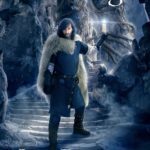 One more announcement Jill released: book two of her current series with Bethany, The Kinsman Chronicles, is due to release in March 2017. But as with book one, her publisher is making the story available as e-novellas first. I have to admit, I’ve been somewhat confused by this process, but here’s how it works: Each book is made up of three parts and each part has been (or will be) released as an ebook first. 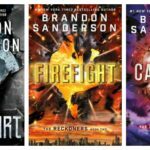 So the first part of book two has just been released. That part is entitled Kingdom At Sea. 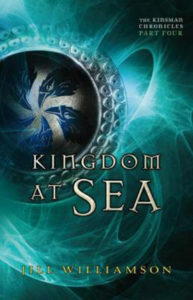 Perhaps the coolest thing about this series is that it is a prequel of Jill’s first fantasy series The Blood Of Kings. So all the Kinsman Chronicles are about the ancestors of the protagonists of the earlier books. There’s obviously much, much more going on with speculative fiction. Realm Makers, for instance, has plans for their awards—they’ve added a new readers’ choice award they’re calling The Alliance Award. Agent Steve Laube wrote a fun blog post about Star Trek in celebration of its fiftieth anniversary. I think it’s fun to learn what books are coming out, what people are writing about speculative fiction, what awards are being created and won. 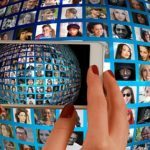 What news items do you have to add to this short list? I agree. The competition was stiff. Good finalist entries and lots that didn’t make that cut. Fun challenge again this year! Ethan and Milena Dietrich are two of the few gifted in using their supernatural self — their soul — to reach through the veil. After years of rooting out evil around the world, they attempt to live a normal life, all the while realizing they are meant for more. Their part in the Story is unfinished. Now, what was locked in shadow stirs, and where darkness has laid dormant, evil awakes. Malice not seen since ancient times, far worse than anything on the evening news, is preparing for a new Scourge across the Earth. Lost relics that surge with power. Nightmarish creatures thought only to be myth and legend. The Dark One’s Followers will travel through time and history, obtaining all they need to propel mankind into collapse and ruin. There is one problem with their plan. Watchers like Ethan and Milena are not afraid to bring the Light to dark places. Nor are they alone. A war of the worst sort that could end the age of man is about to begin.